The Belgian painter René Magritte created some of the most enigmatic and iconic works in Surrealist art. But before he moved to Paris in 1927 and began forging relationships with André Breton and the Surrealists, Magritte struggled in Brussels as a freelance commercial artist, creating advertisements in the Art Deco style. 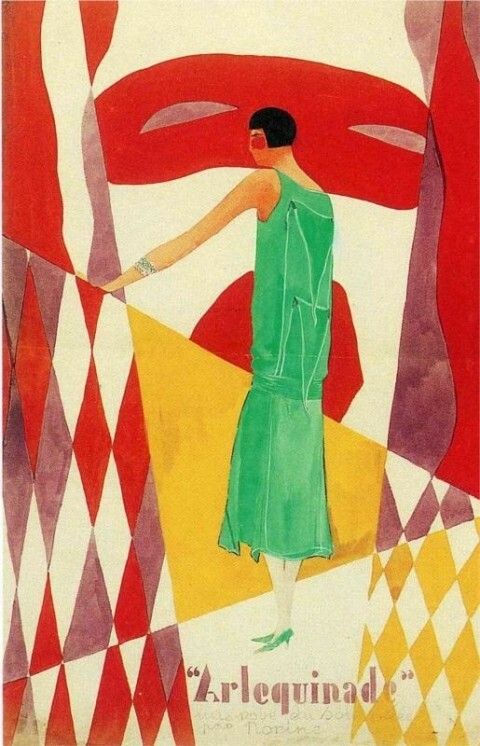 In 1924 Magritte began designing posters and advertisements for the couturier Honorine "Norine" Deschrijver and her husband Paul-Gustave Van Hecke, owners of the Belgian fashion company Norine. Van Hecke also owned art galleries, and was an early champion of surrealism. Van Hecke would eventually pay Magritte a stipend in exchange for the right to market his surrealist works. 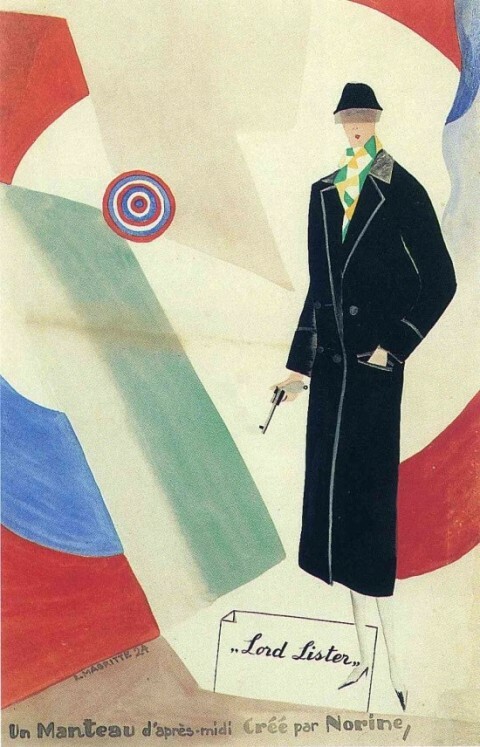 In the 1924 advertising poster above, Magritte portrays a woman in high heels pretending to be Lord Lister, the gentleman thief from German pulp fiction, wearing "an afternoon coat created by Norine." Magritte designed some 40 sheet music covers, most of them in the Art Deco style, according to Hrag Vartanian at Hyperallergic. 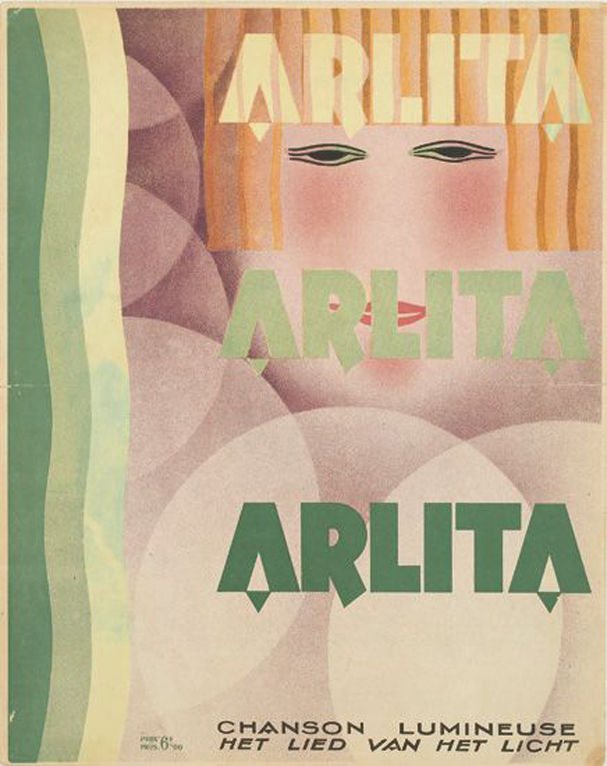 The one above, "Arlita," is from about 1925. The French and Dutch subtitles read "The Song of Light." The harlequin-themed image above is another advertisement for Norine, circa 1925. Magritte painted it in watercolor and gouache. The penciled inscription at the bottom reads "une robe du soir par Norine" -- "an evening gown by Norine." In 1926 Magritte was commissioned to create the poster above for the popular singer Marie-Louise Van Emelen, better known as Primevère. An original print is currently up for sale at Christie's and is expected to bring somewhere between $18,000 and $25,000. 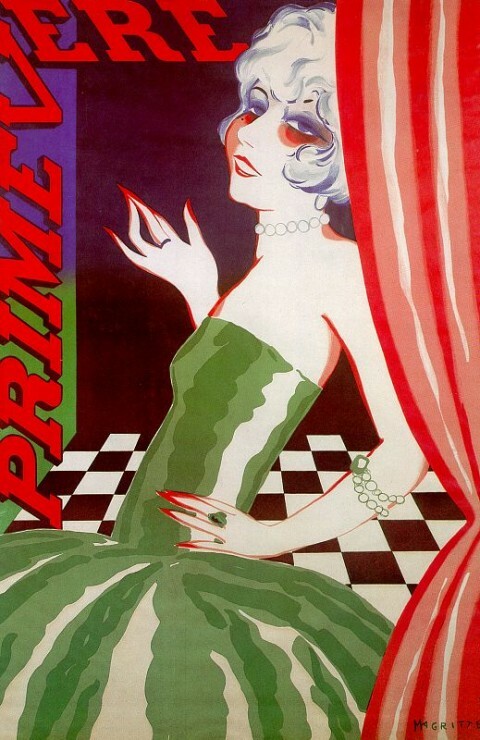 For more of Magritte's Art Deco sheet music covers, visit Hyperallergic. j’aime magritte toujours! j’aime son musee a bruxelles pres du sablon-j’etais l’a en 2012 janvier.